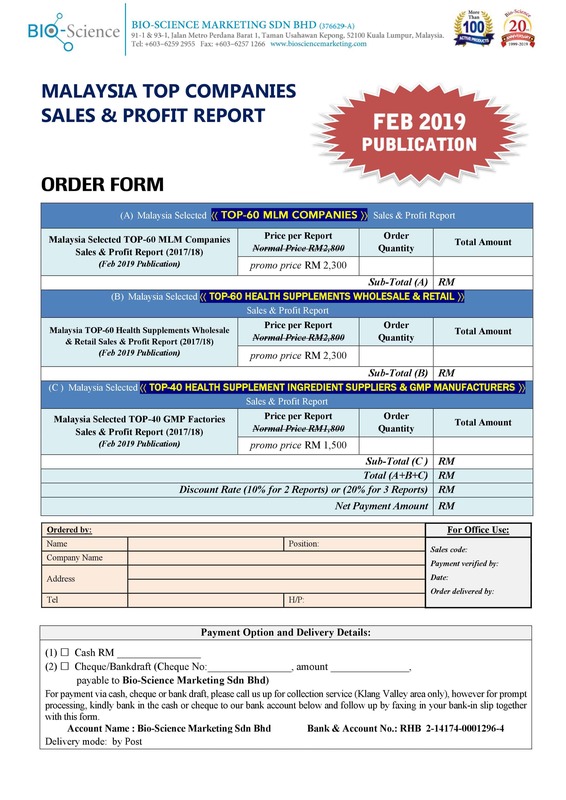 The Listing of Malaysia TOP-60 MLM Companies & their latest 2 years Sales & Profit Data! HOW MUCH DO YOU KNOW OF MALAYSIA MLM? WHO is the NO.1 MLM in Malaysia? 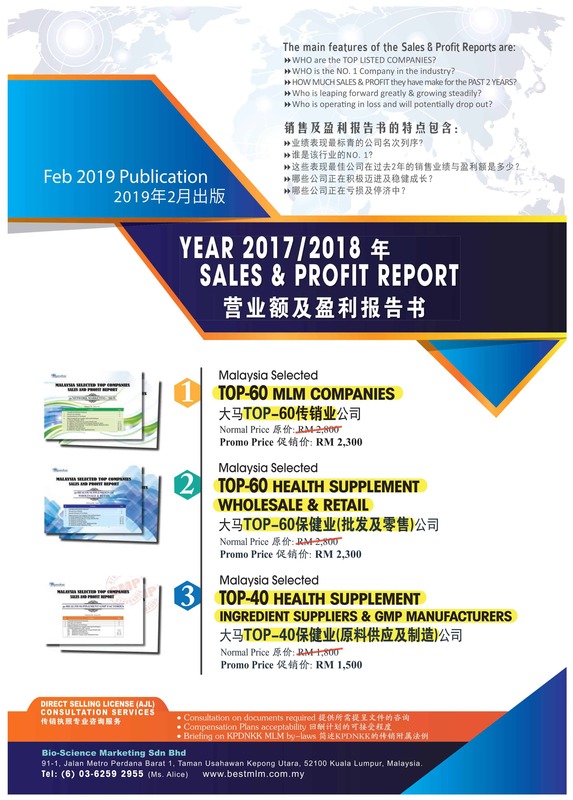 WHO are the TOP-60 MLM Companies? How much sales & profit have they made? Who is leaping forward greatly & growing steadily? Who is operating in loss and will potentially drop out?